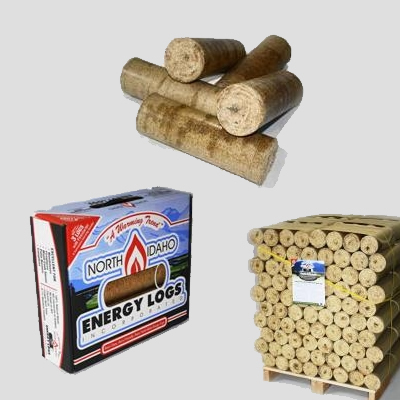 We carry Home Fire Prest Logs that produce heat for up to 12 hours. That is because of the patented technology compresses wood waste so densely that the logs will burn red hot throughout producing the most efficient burn available in manufactured firelogs today. We also carry North Idaho Energy Logs for wood stoves and fireplaces. These logs create fewer particulate emissions, less ash and little or no residue compared to firewood. And the high density and low moisture content of the Energy Log enable it to burn twice as long as other manufactured logs pound for pound.